If you use Twitter, by now you have probably have a large number of people that you follow as well as a solid following for yourself. One of the quickest ways to build a following besides offering popular content is to follow other users in the hopes that they follow you back or influence other users to check out your content. Are the people that you follow offering useful and relevant information or are they just people you followed in order to increase your presence on the social network? Although this can be a great way to get started, once you have gained a good number of followers these users may no longer be relevant. Managing a professional or company Twitter account is a lot different than managing a personal one, mainly because you are not as lax with your company page as you are with your personal account. A business Twitter page should be all about offering industry, consumer, and company information while an individual page is more often used for social communications with friends and family. It becomes much easier to manage the two if you avoid mixing your personal and professional Tweets. If they keep you informed. If they make things easier on you. If they are already an active member of your network. If they are someone you’d like to get to know. If the user is not industry related or only use their account for personal tweets. If the user still has the default Easter egg avatar or if they use a provocative female as their avatar when it is clearly a man or corporation tweeting. 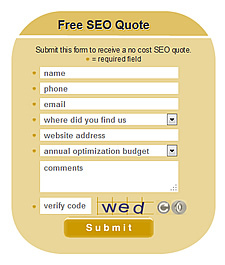 A lead capture form is often the highlight of a landing page. These forms are the most important elements to driving customer contact and capturing new leads. The lead capture form is an absolute necessity and can often make or break your landing page. Without a lead capture form the landing page remains just another hurdle between you and your prospective clients. If you don’t already have a lead form posted on your landing page then we advise that you make creating one a top priority. The real measure of a successful website isn’t the number of visitors but rather the number of conversions. A conversion is when a visitor comes to your site and performs a certain task. These desired actions could be purchasing a product, getting a quote, signing up for a newsletter, or any other specified goal. Upon landing on a page, customers consider if they are in the right place, the trust level they have for the site, the amount of time the process will take, and the potential benefit from the conversion. The landing page should address these concerns and then proceed to display your introduction copy, any media content, product information, customer testimonials, and lead capture forms. Create a headline or tag line that really captures the interest of your visitors. A strong headline should urge potential customers to stay longer, learn more, and influence them to provide their contact information. Have a strong call to action that stands out and instructs your visitors to perform your requested action. A good call to action is found above the fold and will help urge your visitors to take immediate action. Adding a visual interest to your blog is a great way to attract an audience and it also serves to break up some of the more text heavy articles. However using an image on a blog can be a little tricky due to copyrights. Now of course this doesn’t apply to people who create their own custom images or showcase their personal photos. For the rest of us it is important to know how to protect ourselves from any possible infringement. 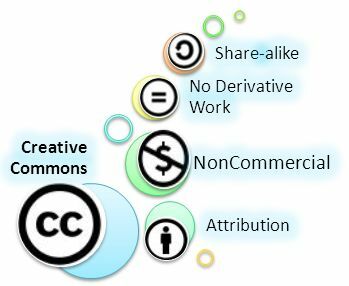 The following is some background on copyright infringement and the best practices for avoiding it when applying a picture to your blog. As the saying goes a picture can speak a thousand words, having an illustration that is relevant to your content add a level of detail to your content and often influences readers to read your article. Utilizing an image on your blog can also help increase SEO value with the use of Alt attributes. ALT attributes help the visually impaired readers who use screen readers and may provide bonus points with Google. Eye catching photos – Something that relates to your article or can be used as an interpretation of the article’s title. Photos with people in them – Displaying a relevant image with people also helps the audience connect with the theme of the article. Screen Shots – Screen shots are probably the best way to depict the topic of the article because more than likely it will be a screenshot of the subject that you are talking about. For example if you are writing a tutorial you can provide step by step screen shots. Additionally, if you are talking about a specific software application you can take a screen shot of their company logo or user interface. A good screenshot tool to have is GreenShot. As we have mentioned numerous times before one of the most important aspects of Search Engine Optimization is accumulating high quality backlinks. Backlinks are incoming links to your web pages and serve as an essential building block of a successful SEO strategy. Also known as inbound links, backlinks are important because they help indicate the popularity of your website and help to direct or drive in a high amount of new traffic. 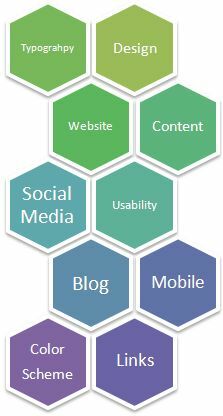 Websites are determined more relevant depending on the types of website as well as the quantity of websites that provide a backlink. Search engines like Google will often contribute more credit and place a higher rank on a website that contains a higher number of good quality links. 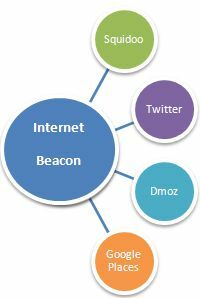 Search engines determine the relevance of a website associated with a keyword according to its collection of backlinks and the anchor text used within the backlink. The anchor text of a back link is very important when gathering these links because it denotes the subject of the page and helps target your specific audience. 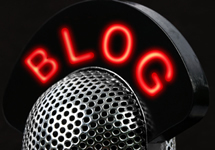 One of the ways to acquire a backlink is guest blogging efforts. 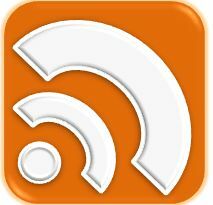 As we briefly mentioned in our past blog post, guest blogging is when another website hosts one or your articles or when you showcase an article from another blogger. Guest blogging is a great device to drive in traffic to your website and allows you to network with other bloggers from your industry. Besides driving in new traffic and networking with other bloggers, guest blogging also helps with branding and getting your name or company in the spotlight. Guest blogging is also helpful in building your social media profile and gaining more industry experience. 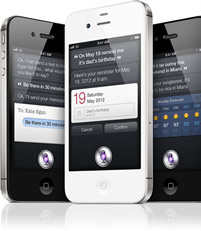 iPhone 4s: Apple introduces the iPhone 4s but is it worth the Upgrade? Apple’s much anticipated October 4, 2011 press conference was rumored to be the public’s introduction to the iPhone 5. Leading up to the press conference Apple advertised with the phrase “Let’s talk iPhone”, which added to the already growing iPhone 5 rumors. During the press release Apple did talk about iPhones but not the one most consumers expected. The press conference may have left iPhone 5 enthusiasts disappointed but still delivered an amazing iPhone 4s. The 4s offers many new features that should keep customers satisfied until the iPhone 5’s eventual release date. Although the iPhone 4s offers new and exciting features some people are still wondering if it is worth upgrading. The following guide includes some of the new features of the iPhone 4s to help you with this decision. The iPhone 4s will be available from $199-$399 next week on October 12, 2011. The Dual-Core A5 Chip delivers the fastest and most powerful iPhone to date. The A5 chip allows for 2x more power and 7x faster graphics. The new chip makes the iPhone 4s faster and more responsive when launching applications, web browsing, and gaming. The Dual-Core A5 also provides users with an even longer battery life than any previous versions. Recently we have been discussing backlinks and the benefits that they provide for your website. Backlinks are an essential part of the SEO process because they help your site’s search engine visibility and web rank. A backlink, also known as an inbound link is a link on another website that is directed to one of your web pages. When search engines like Google determine a website’s relevance for an associated keyword, they consider the quantity and quality of inbound links to that site. Inbound links with content related to your site they are thought to be more relevant and a more valuable SEO factor. In short, websites with the most relevant content to your website will produce the best quality inbound links. 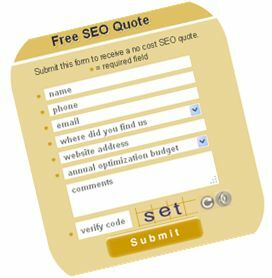 High quality links are obtained through a number of different methods, one of which is leaving comments on other blogs. In addition to looking good in the eyes of the search engines, leaving your website’s URL on industry related blogs is a good way to direct new users to your content. For several reasons however leaving blog comments will not always produce the preferred results. The following are explanations why blog comments don’t always help your search engine optimization efforts as well as some of the things you should look for when pursuing blog comment backlinks. Constructing a website for a business is only the first part of attracting your online customers. There are many factors that determine your position on the search engine results page, one of them being the quality and quantity of your inbound links. In order to increase traffic and gain a good web rank your website should have a significant amount of backlinks. These backlinks should connect with valuable, authoritative, and industry related websites. Gathering backlinks should be a top SEO priority because without them it can be extremely hard to move up in the search engine results or generate more website visibility. There are a number of ways to build backlinks to your webpages, one of which we mentioned in our previous blog entry, “Reciprocal Linking”. Reciprocal or two way linking is when two websites agree to exchange links with each other. However linking doesn’t always have to be mutual, this type of linking is called one way linking. The following list provides some popular sources and methods of obtaining one way links. In addition to creating a visually appealing and easy to use website you will also need to have high quality content or linkbait to draw the attention of visitors. This content is used to influence visitors to link back to your website by sharing your content. When other websites share your content on their website they will typically link back to the original source. Create 101 articles that describe the basics of your industry related subject. Create Top 10 or 100 lists. Lists the top professionals from your industry. Create an infographic that displays industry information in an intriguing and exciting way. Create free helpful online tools or downloadable software programs.